Miss Philippines Pia Alonzo Wurtzbach's victory being crowned Miss Universe 2015 was such an overwhelming and uplifiting spirit for the Philippines, and to all the Filipinos around the world, after a 42-year drought of the coveted title. If you know what Pia has gone through since she first competed in Binibining Pilipinas 2013 (Miss Philippines 2013) winning only as 1st runner-up and competing again in 2014 but did not win any title, you will understand more how her achievement means to her and to this nation. In March 2015, I watched the Binibining Pilipinas coronation night live at Smart Areneta Coliseum in Cubao, Quezon City. I was really cheering for Pia since the start and was so glad that finally she won Binibining Pilipinas-Universe 2015 (Miss Universe-Philippines). 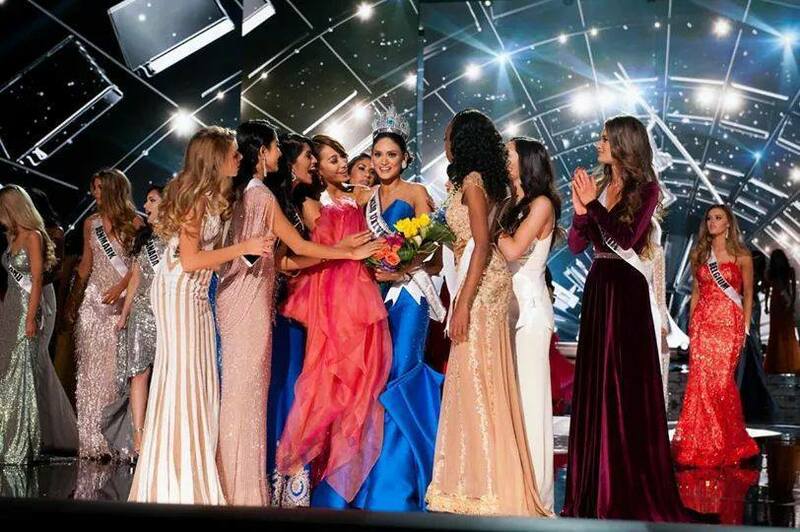 I have watched countless videos of Wurtzbach's conquest at Miss Universe pageant (plus the Filipinos' reaction to her winning) and I couldn't help but be moved to tears. Yes, tears of joy as everybody else (Filipinos or not) across the globe felt the same. Some Pinoys did not even believe in Pia but even bashed her online. There were those who doubted her capacity and even said (and insisted) that she shouldn't be the one representing the country for Miss Universe but another candidate. But I don't care at all. I have faith in Pia. 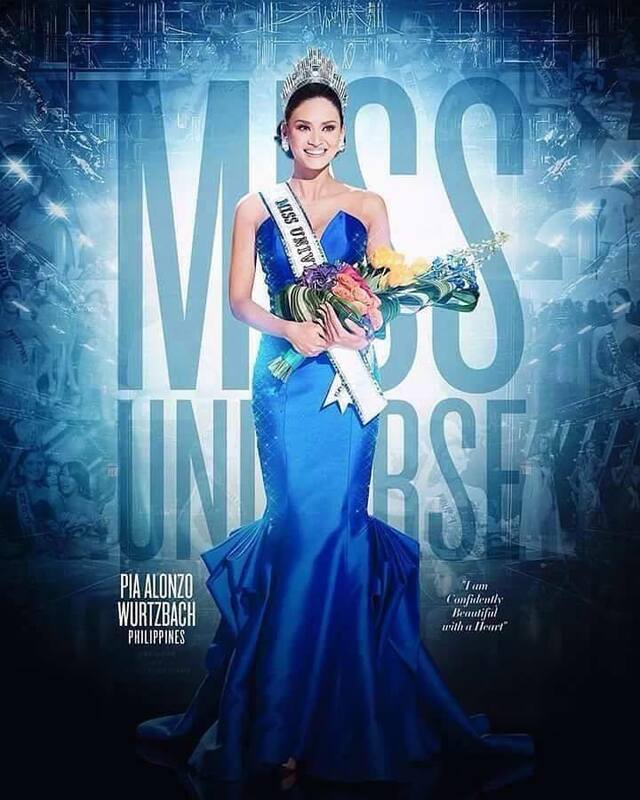 I would like to share this very touching tribute video for Pia Wurtzbach culled from the Miss Universe 2015's pre-pageant activities, preliminary competition and the coronation night. This is a great video that is moving. Bino Realuyo, a Filipino-American poet, novelist, and essayist based in New York, USA, wrote a very beautiful essay in the form of a letter addressed to our Miss Universe 2015 Pia Alonzo Wurtzbach (Miss Philippines), published on Huffington Post dated December 23, 2015. This essay also moved me to tears! Thank you Mr. Realuyo for writing this letter! What a humbling experience to watch your circuitous path toward the Miss Universe crown. It is easy to get lost in your triumph, easier even to fail to see the message. It is easy to participate in the glory of winning, especially yours, especially retrospectively, although none of us will ever know what it was really like for you making an attempt for the Miss Philippines crown three times, how those years must be like when you were the only one who could see your star consistently shine. However, in the coming year that you will wear your crown and your dream, we need to remind those of us who waited for forty-two years for this moment not get blinded by the glitter of gems, but to remain focused on the transformative power of your humble story. Humility has become so rare in our age of tribal nationalism. When Filipinos say they waited for 42 years for another Miss Universe crown, we didn't expect it to turn into a global telenovela switched on the moment the wrong winner was announced. As I write this, the fires are still burning in the heart of those who couldn't simply translate "defeat" or "grace" into their native languages, but instead resorted to spewing hateful and highly personal online sound bytes. The tribal conversations quickly left the deeply human and traumatic realm of public humiliation and entered a dark mob-like online rant about how Colombia deserved a back-to-back win, and expectedly made a downward spiral into conspiracy theories. It is disturbing how quickly the global village showed its ugly horn, unable to recognize the truth in the story from the fantasy of wishful thinking. The message of winning humbly is lost on many of us. Even more, the idea of resilience in the face of numerous defeat. If anyone understands how to transcend the agony of losing, it is you, the breadwinner of your family since you were 11 years old. "For the last three years that I have tried, people are laughing at me and saying that I was trying too hard. And my answer is yeah, I really am trying hard. I try my hardest because this is what I want." Indeed, there is grace and humility in losing, and you demonstrated that for the few minutes that you were the Miss Universe First Runner-up. You called it, destiny, and gently surrendered to your fate as second best. Fortunately, the universe had a better plan for you. Even when you were ultimately declared the true winner, your hesitant walk to the front stage was one full of sympathy and tenderness for the other woman who was humiliated in front of millions by Steve Harvey's humanly error. Even with the crown on your head, you made an attempt to comfort the suffering Miss Colombia, risking being ignored or rejected by the other scorned candidates. For you, kindness is more important than ambition. The crown can wait, a human touch can't. Amid the ruinous noise, you humbly reached out to Miss Colombia by publicly apologizing for an error that wasn't even yours to own. And Miss Colombia somehow managed to post pictures on her Instagram of herself winning the Miss Universe crown, considering public testament by one of the judges, Perez Hilton, that you were the unanimously voted first placer. Before you even start your Miss Universe voyage, your legacy in humility is already being written. Never mind those who doubted you, never mind those who are still bashing you online, never mind the latinas who still think winning Miss Universe is their birthright, never mind the obstacles that you have yet to face in the coming years, we, the Pianatics, are here to do our part in our bayanihan. You have reminded us in the past twenty-four hours to search within and elevate our human values against angry mobs. You have transformed a beauty pageant of glitter, appearances, and high-heeled logic into a pageantry of virtues and human decency. You have taught us already to never give up on our dreams and move forward with grit. You are showing the world what it means to be a daughter of the global village, and how she must carry herself on the ashes of controversy. But most of all, your triumph is embedded in your humility, a message so desperately needed in a global village that keeps getting battered by hubris, impulsive reactions, and lack of self-awareness. By the time you read this post, I'm still in high spirits! It will never waver nor leave me. We love you Pia, our Miss Universe 2015! Thank you for bringing so much honor to our country, the Philippines, and for showing the world (the universe, rather) that being humble and gracious -- in both defeat and victory -- is more important than anything else. You are confidently beautiful, with a humble, loving and caring heart. Mabuhay ka, Pia!